"Following the unveiling of the Kestrel design at the Vancouver EV 2010 VE Conference and Trade Show, Motive releases Kestrel design images. 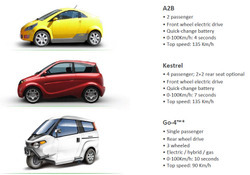 The Kestrel is a 4 passenger electric car designed to appeal to the city driver, who for the most part is traveling alone or with one other passenger. Part of the design criteria was to make a compact city vehicle while not compromising interior space. A unique feature on the car is the location of the front wheels making it a very cab forward design. The engineering team made this possible by having the doors forward shut line open right up into the wheel well, creating ingress/egress without compromise. The very cab forward profile and compact front end make it easy to maneuver in tight traffic. 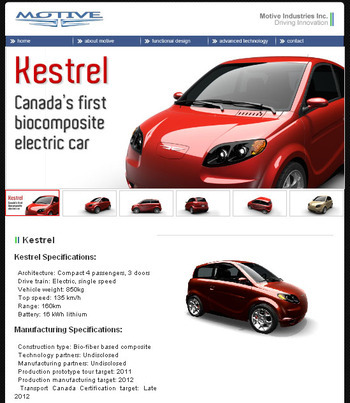 The Kestrel has been designed and will be manufactured entirely in Canada by a yet undisclosed consortium of technology and manufacturing partners coming together under the title of Project Eve. 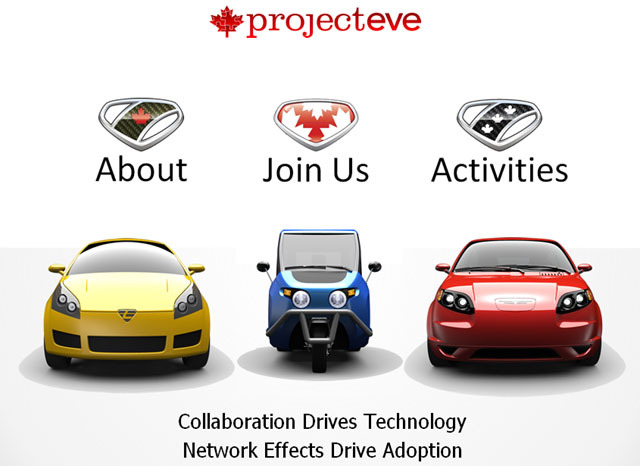 Project Eve brings together Canadian skills for the purpose of producing and supporting Canadian electric vehicles and components. " 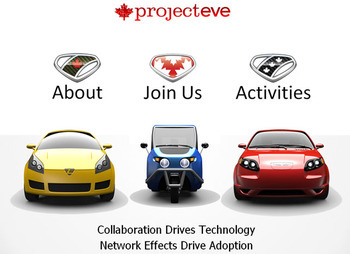 " Project EVE is a for-profit consortium created to act on these opportunities. Download the Project EVE Fleet Vehicle Program Brochure. 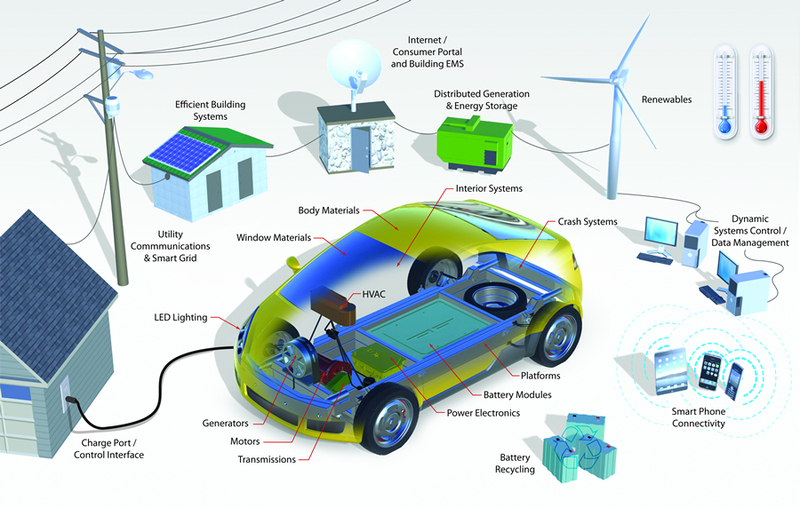 Download the Electric Vehicle Technology Roadmap for Canada - Executive Summary. Download the complete report. "